Stay cool with this new Utah Utes athletic logo color block tank top. Featuring a distressed Athletic logo printed on the front. Perfect for any fan! 52% Cotton, 48% Polyester. Imported. 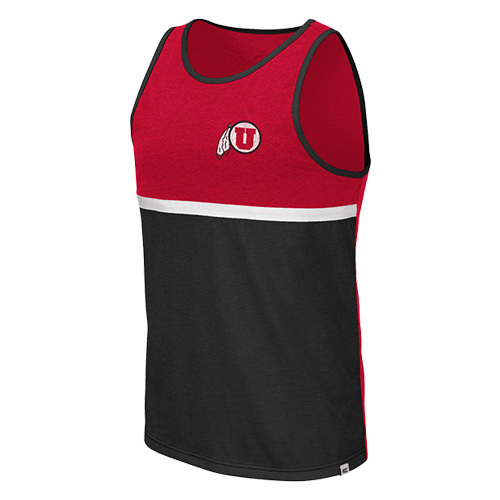 Please select option for Utah Utes Distressed Athletic Logo Colosseum Tank Top.